We need to find a solution to improve childcare in America. Replicating the military’s system is not it. The problems that plague America’s patchwork childcare system are endemic in its military counterpart as well. Annual full-time care for a child, on average, costs more than the average in-state college tuition and nearly exceeds the cost of rent for many families across the U.S. Quality varies from really good (and really expensive) to not just bad, but incredibly unsafe. Availability ranges from relatively high to abysmally low, and factors like age and geographic location exacerbate gaps. Clearly, we have a childcare problem. 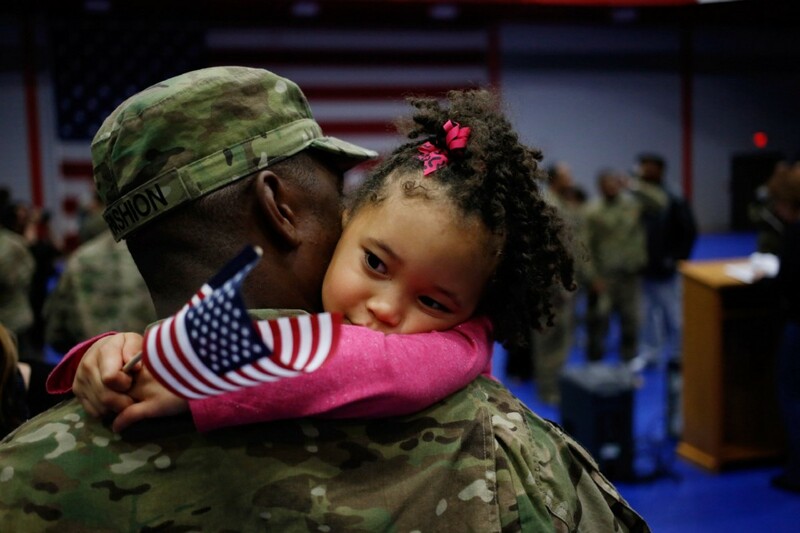 I am sharing my experience because the military system is frequently held up as the solution — an example of what childcare in America could be. Yet my story is a cautionary tale. While robust and superior to the system illustrated by the Care Report (which is no system at all), many problems that plague the civilian world — incompatible work and school hours, biased assumptions about gender roles at work, and unequal burdens of domestic work at home — are replicated in the military childcare system. 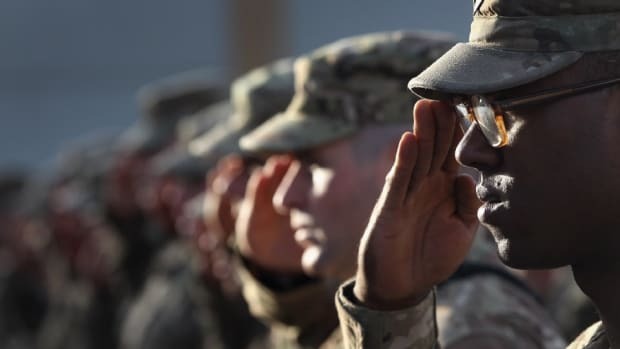 More importantly, the military system codifies existing gendered expectations while reinforcing an outdated work-life paradigm that is unrealistic for the majority of American families today to match, making family survival and growth continually out of reach for many. 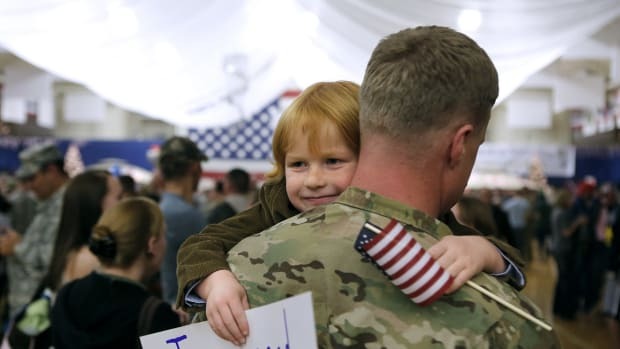 Certain aspects of the military childcare system could potentially be broadly replicated, but cloning this system without drastically changing our work and family life norms and expectations will likely result in more of the same. The military childcare system has its advantages: it is highly affordable, regulated, and, in theory, widely available. Costs are amazingly low for families across the spectrum. Bases are secure, childcare facilities are highly regulated, even FCC homes, and inspections are frequent and thorough. The institutionalization of military childcare confers a degree of safety and comfort that could be difficult to find off base. 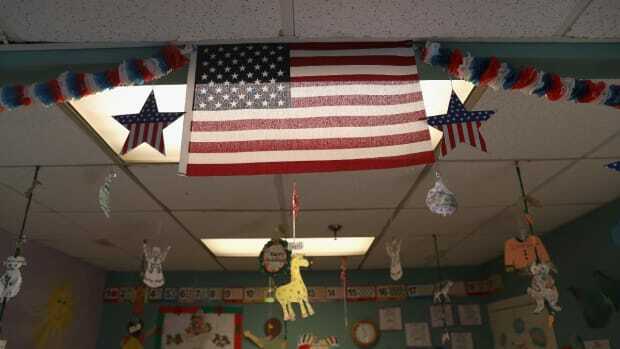 Childcare centers on base are often open for 12 hours or more. Military caregivers deeply understand the complexities of military life, adding compassion for military families that might not exist outside this system. These advantages, however, are inconsistent. With the exception of cost (which, to be clear, is low across the board), everything varies widely depending on a child’s age, family duty station, and individual provider. The negatives also vary widely based on these factors. Drop-in (temporary) care, is inadequate. We managed to get our children into drop-in slots from time to time, but care was inconsistent, impersonal, and, eventually, non-existent. Our kids were so miserable and the care so unreliable — spots were not guaranteed despite my Reserve requirements — that when we had a lucky break on a spot for one child in a local (costly) preschool, we took the dual financial hit of much higher costs plus no income for me without thinking twice, since the reliability and quality would be worth the financial pain. Fully enrolled families have more consistency in centers than drop-ins, but many military families do not fall into the top priority category, so they use similar patchwork care. Military moves also impact availability, especially in FCC homes. Caregivers move, forcing families to scramble, and families move as well, so the childcare search is continuous and results in constant anxiety. Twice, caregiver moves and a resulting loss of care hit us while I was solo-parenting with a deployed husband. And as the recent high-profile cases of abuse at the Fort Myer Child Development Center illustrated, even with a high level of institutionalism, caregivers and facilities can slip through the cracks. Outside of availability, the biggest problem impacting the military system is how childcare hours are frequently incompatible with required working hours, even with the expansion of some centers to 14 hours of care each day. As a pilot required to fly nights, no center could help me, nor could our regular provider with any consistency. FCC homes can be even more inflexible: Our first home closed at 4:30 p.m., a full hour before my office shut down, and later FCC homes were no better. Overall, when it works, the military system is better than the one the rest of the country lives with. But the problems that plague America’s patchwork childcare system are endemic in its military counterpart as well, which means that replicating the military’s system on a larger scale is likely to only exacerbate the deeper problems in today’s workforce that have created and enabled this crisis. Gendered expectations in the workplace and at home for parents; a gross undervaluing of childcare and those who provide it; emphasis on maternity leave versus family leave; and a paradigm built upon a 1950s model of what an American family looks like that is not remotely realistic today all combine to create an unrealistic world that forces families to struggle daily to survive. 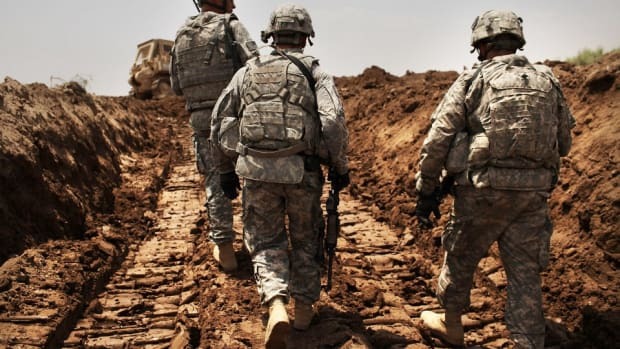 None of this is to say that America at large shouldn’t borrow certain elements of the military’s childcare system to improve upon what exists now. But, like the state of American childcare as a whole, military childcare is inconsistent and highly gendered. It is at best a mild antidote for specific symptoms instead of a solution in and of itself for the sad state of childcare in America today.